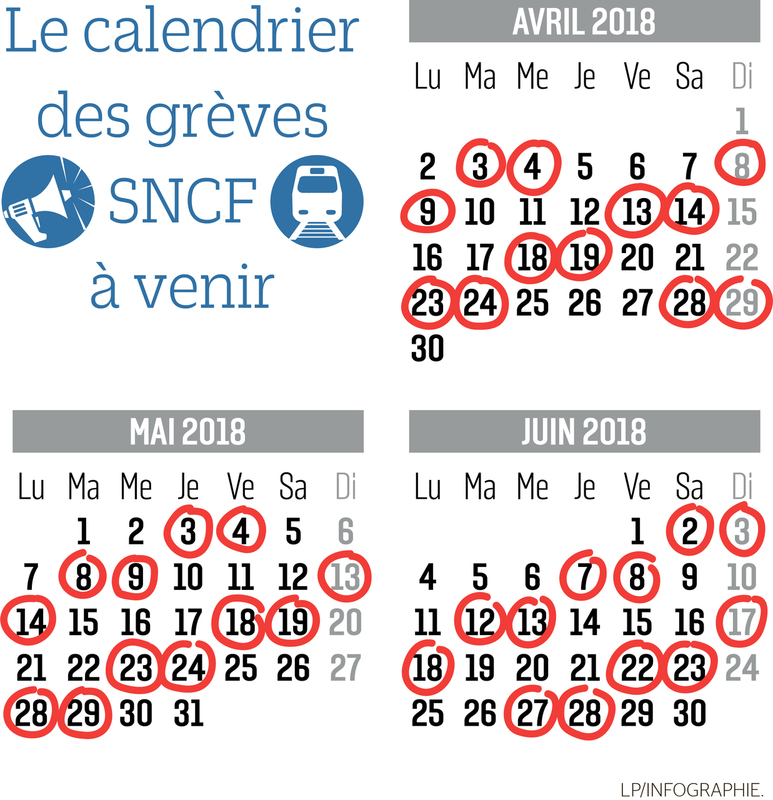 Here are the days French train workers will be on strike the coming 3 months. Check with the sncf.fr website the status of your train 24 hours before departure on these days. Good luck et bon voyage! Dream travel job this summer!